Dr. Lal is employed by Penn Medicine. Application of high through-put technology to gain insights into the biology of human cancers, with special interest in GU cancers. 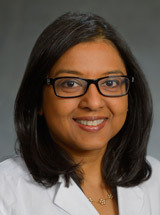 Aileen Grace P. Arriola, MD, Sahar J. Farahani, Hersh K. Bhargava, Thomas J. Guzzo, MD, MPH, John S. J. Brooks, MD, and Priti Lal, MD: PD-L1 Expression Reveals Significant Association with Squamous Differentiation in the Upper Tract Urothelial Carcinoma. AJCP : 2018. Hersh Bhargava, Patrick Leo, Robin Elliott, Andrew Janowczyk, Jon Whitney, Sanjay Gupta, Pingfu Fu, Kosj Yamoah, Timothy Rebbeck, Michael Feldman, Priti Lal, and Anant Madabhushi: Digital features of stromal morphology in prostate cancer differ between African-Americans and Caucasians and are prognostic of recurrence following prostatectomy Clinical cancer Research : 2018. Kazanietz et al. : COX-2 mediates pro-tumorigenic effects of PKCε in prostate cancer Oncogene : 2018. Narayan V, Hwang WT, Lal P, Rosen MA, Gallagher M, O'Dwyer PJ, Vaughn DJ: Cyclin-Dependent Kinase 4/6 Inhibition for the Treatment of Unresectable Mature Teratoma: Long-Term Follow-Up of a Phase II Study. Clin Genitourin Cancer PMID: 27055371 : 2016. Charnita Zeigler Johnson, Michael Feldman, Priti Lal, et al: The relationship between Obesity, Prostate Tumor Infiltrating Lymphocytes and Macrophages, and Biochemical Failure. PLOS ONE : 2016. 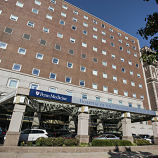 Kosj Yamoah, M.D, Ph.D., Michael Johnson M.D., Voleak Choeurng, M.S, Kasra, Yousefi, M.S., Zaid Haddad, Robert Den, M.D., Priti Lal, M.D., Michael Feldman, M.D, Ph.D, Adam P. Dicker, M.D., Ph.D, Eric A. Klein, M.D, Elai Davicioni, Ph.D, Timothy R. Rebbeck, Ph.D, Edward M. Schaeffer, M.D. Ph.D: A novel biomarker signature which may predict aggressive disease in African-American men with prostate cancer Journal of clinical oncology : 2015. Yamoah K, Johnson MH, Choeurng V, Faisal FA, Yousefi K, Haddad Z, Ross AE, Alshalafa M, Den R, Lal P, Feldman M, Dicker AP, Klein EA, Davicioni E, Rebbeck TR, Schaeffer EM. : Novel Biomarker Signature That May Predict Aggressive Disease in African American Men With Prostate Cancer. J Clin Oncol. : 2015. Renee Frank, MD, Priti Lal, MD, Jane Kearns, CHS, Valerie R. McCarro, CHT, Maria R. Molina, MSN, CRNP, Joyce W. Wald, DO, Lee R. Goldberg, MD, MPH and Malek Kamoun, MD, PhD: Correlation of Circulating Complement-Fixing Donor Specific Antibodies Identified by the C1q Assay and Presence of C4d in Endomyocardial Biopsy AJCP : 2015. Malek Kamoun, Priti Lal, et al: Fatal Accelerated Rejection with a Prominent Natural Killer Cell Infiltrate in a Heart Transplant Recipient with Peripartum Cardiomyopathy Transplant immunology : 2017.